Megapolis Hong Kong is located in Southeastern China, the coast of South China Sea. Hong Kong is a Special Administrative Region, including Hong Kong Island (also called Syangan), Kowloon Peninsula and 235 small coastal islands. About 71 million people, mainly Chinese, live in the territory of Hong Kong, which stretches over a total area of 83 sq. km. Today Hong Kong is an incredibly modern, industrilized, urbanized city in which good manners, morals and manners are highlighted. The Chinese definitely know what discipline is and the Island of Hong Kong is ultramodern, luxurious and very expensive. In the 11th century the territory of present-day Hong Kong was inhabited by about 3500 farmers and 2000 Chinese fishermen. In 1841 the territory was conquered by Britain, which occurred after British settlement (RTGS). In the period 1856 - 1860, after the Anglo-Chinese War, also known as the Second Opium War, China has withdrawn from the southern part of Kowloon Peninsula. In 1898 the territory was occupied by Japan and Hong Kong in 1945 was again occupied by Britain. On July 1st, 1997 Hong Kong returned to China as free. Hong Kong was a British colony for 156 years. 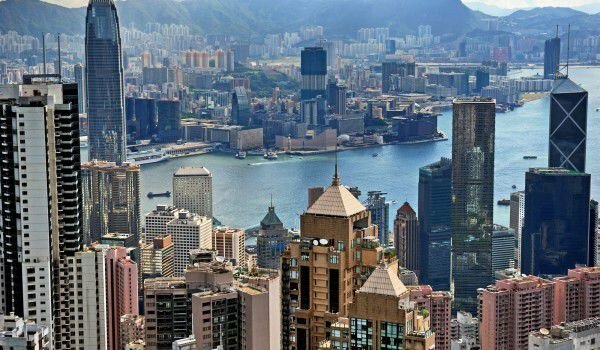 One can not but note that British influence is largely contributed by a small fishing village, today Hong Kong is one of the megalopolis with the largest and most powerful commercial ports, such as Macau, Shanghai and Guanzhou. 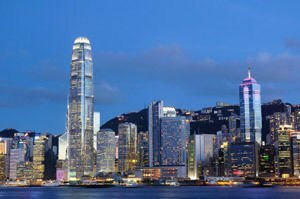 The Island of Hong Kong can be described as an ultra modern management, business and tourist center, and Peninsula Kowloon urbanized and crowed residentially and with offices, retails and any other buildings. The new sites that are north of the peninsula are mostly mountains with little arable land, and detached from the heart of the city population. A few years ago Hong Kong opened its doors to the only hotel in the world of gold. This incredibly luxurious and beautiful place is built entirely in the imperial, royal style as only the outer lining of the rooms have spent more than two tons of precious metal. To stay overnight in luxury apartments you will be expected to pay up to 25, 000 dollars and this is perfectly normal, given that the premises have gold toilet seats, beds and baths. The walls are covered with gold wallpaper and chandeliers. Gold are even the sofas, dining tables, chairs and sanitary equipment. For the construction and furnishing of the gold hotel, about 82 million dollars was spent. Today, about 2-3 thousand people visit this unique place in Hong Kong as a ticket is priced at about 4 four dollars. Four years ago was opened the biggest cableway in Asia - "Ngong Ping". The lift leads to one of the largest Buddha statues in the world, which is located on Lantau Island, which enters into the composition of Hong Kong. Statue of Buddha is situated on a hill, which leads to the stone staircase with 268 steps. At Ngong Ping you will be able to eat, buy souvenirs and even have a Foot Massage. Besides the statue itself, tourists can see the performance of the Apes and learn about the life of Buddha. Specialized media presents the foundations and history of Buddhism. Tourist attractions in Hong Kong are many, one in particular is, The Peak, from which a magnificent view of the entire modern megalopolis with its skyscrapers is offered. Ocean Park where you can see a small zoo and botanical garden with free entry, emblematic of Hong Kong hipordum for racing, bazaars for Western goods and ferry connections to Macau. Kowloon has the most interesting museums in Hong Kong. Do not miss the opportunity to walk down Victoria Park and to see the clock tower. The movement between the tourist attractions are all round quite easy, thanks to a system of ten urban metro lines - MTR. Very important to know is that in Hong Kong smoking in public places is prohibited, as fine to bypass the rule is about 1000 euros.